Prosecution and defense of claims alleging infringement of domestic and foreign patents and other intellectual property rights. Lead bankruptcy counsel in multi-million dollar purchase of numerous clothing stores from Chapter 11 corporate debtor. Lead counsel in the enforcement of $40 million and $10 million judgments obtained in civil RICO actions. Trial counsel in successful jury trial defense of a financing company in a multi-million dollar malicious prosecution case. Representation of major secured creditors in bankruptcy cases brought under Chapters 7 and 11 and representation of lending institutions and finance companies in workouts of distressed commercial and real estate loans. Representation of creditors in litigation seeking to enforce creditors' rights, including foreclosures, garnishments, wage garnishments, replevins, attachments, post-judgment collection efforts, hospital lien claims, and the enforcement of secured interests in personal property. Florida trial counsel for world's largest manufacturer of PVC water and sewer pipe. Lead trial counsel in successful prosecution of a $44 million international civil RICO action. Lead litigation counsel in successful defense of German manufacturer and American distribution company in multi-million dollar business torts case. Lead litigation counsel in successful defense of a major developer in a multi-million dollar breach of development contract case. Lead counsel in successful prosecution of multi-million dollar antitrust conspiracy case involving the development of competing outlet mall centers. Representation of a major developer in real estate matters, contract litigation, partnership disputes and construction litigation. Representation of businesses and individuals in FDA regulatory applications and disputes over regulatory compliance. 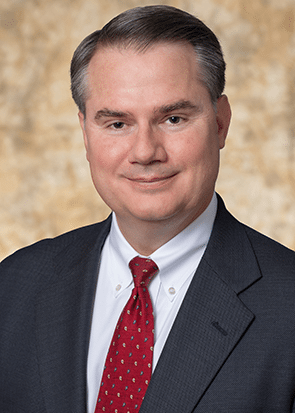 Greg is a Partner in the firm's General Commercial Litigation practice group where he focuses on intellectual property, products liability, class action, regulatory compliance, governmental, land-use, and construction litigation. He has a nationwide medical implant products liability practice and an active international business transaction practice. Greg’s practice also includes business torts, lender liability defense, restructuring and enforcing commercial inventory-based loans and real estate loans and creditor’s bankruptcy litigation. Greg has extensive trial experience in both Florida and Federal courts, as well as mediation and arbitration experience.